It's much easier and least expensive to do prevention than treatment. You can keep children healthy. They don't have to catch everything that goes around if their immune system is strong enough to do what it was designed to do. Cut out all the junk foods to keep more nutrition going in and supplement with immune-building supplements. As the new school year approaches, parents everywhere are gathering the supplies their kids will need when they head out the door. This fall, arm your kids not just with backpacks but with the nutrition that will help them perform their best. Nature’s Sunshine has a variety of products designed to help kids stay healthy, happy and ready to learn. Highlighted here are a few favorites. Focus Attention combines powerful nutrients that help the brain maintain a healthy, balanced level of stimulation. By supplying the brain with the vital nutrients it needs, Focus Attention may help improve your child’s concentration so he or she can thrive at school. Available in capsules and a great-tasting powder drink mix. Start their Day the Herbasaurs® Way! 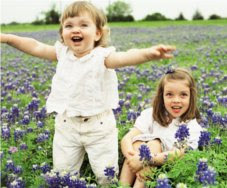 Herbasaurs products are designed specifically with kids’ nutritional needs in mind. While mass-market vitamin supplements can be loaded with sugar and other extras kids don’t need, Herbasaurs products are sweetened naturally and contain no artificial colors, flavors, sucrose or starch. So you can feel confident giving them to your kids every day. Getting your kids to eat their fruits and veggies might be a struggle, but you’ll never have to beg them to take their vitamins! This great-tasting chewable, naturally sweetened with xylitol, fructose and citrus flavors, contains 12 essential vitamins plus minerals and iron. Recommended for children who prefer a liquid, this formula has a pleasant orange flavor. Each dose equips kids with a full day’s supply of 12 essential vitamins plus iron and zinc. Herbasaurs Antioxidants help young, growing bodies fight the damaging effects of free radicals caused by oxidation, pollutants, the sun and even exercise. Each lemon-lime flavored tablet offers antioxidant protection with beta-carotene, vitamins C and E, Grapine and licorice flavonoid extract. With a host of germs out there just waiting to be shared, it’s nice to know you can strengthen your child’s defenses before sending him or her off to school each day. Chewable Elderberry Plus contains elderberry, reishi mushroom and astragalus for immune and respiratory system support—in a great-tasting lemon-lime Dinotab®. Kids and adults alike can enjoy the protective benefits of Vitamin C. Nature’s Sunshine chewable wafers are made with vitamin C and whole orange juice, along with rose hips, orange and natural lemon-lime flavor. Each tablet delivers 410 percent of the Daily Value to keep kids’ immune systems strong. A healthy intestinal tract is home to billions of delicate microorganisms that aid in the digestion process. Stress, environmental conditions and antibiotics can destroy them, but NSP probiotics—including L. Reuteri—help repopulate these tiny friends. This strain of friendly flora is chewable, suitable for young children and requires no refrigeration—making it a great choice both for travel and daily use at home.